As well as making our own in-house project short films Claíomh personnel have been involved in media work since the 1990's where their skills as swordsmen and actors - alongside their ability to provide fully researched props, armory and costume - have made them an invaluable asset to various productions over the years. In an age of HD camera and a discerning and well informed public - attention to detail is of the utmost importance if your work is to stand the test of time - this is where Claíomh's expertise can help your production! This pic is from a break in choreography from the BBC's Flight Of The Earls where we were working on the close combat close ups for the series in Benburb, Co Armagh in April 2006. The figure on the left is wearing the 'feileadh mór' (or belted plaid, great kilt etc). Interestingly the earliest record of this quintessential Scottish garment is actually from Ireland in Tir Connel in 1594 as worn not by native Irishmen but by Redshank mercenaries of West Highland origin. In the centuries previous to this the ubiquitous Highland attire was the léine and the padded cotún - the former for civilian attire, the latter for war. 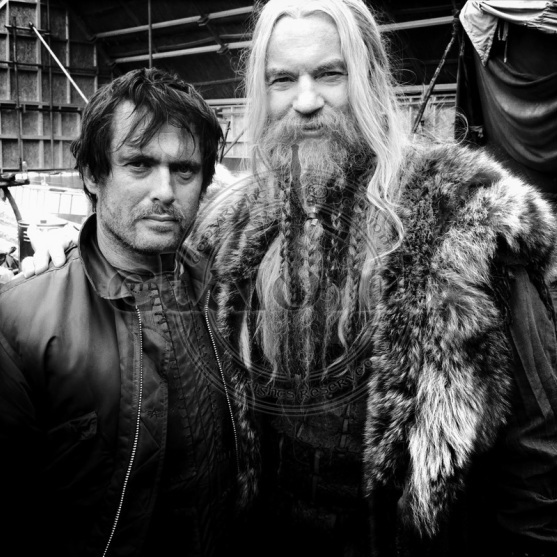 I always have had a soft spot for 'The 13th Warrior' so it was great to have the opportunity to meet Vladimir Kulich on the set of 'Vikings' in summer 2012. This was my first job at the new Ashford Studios in Co Wicklow. 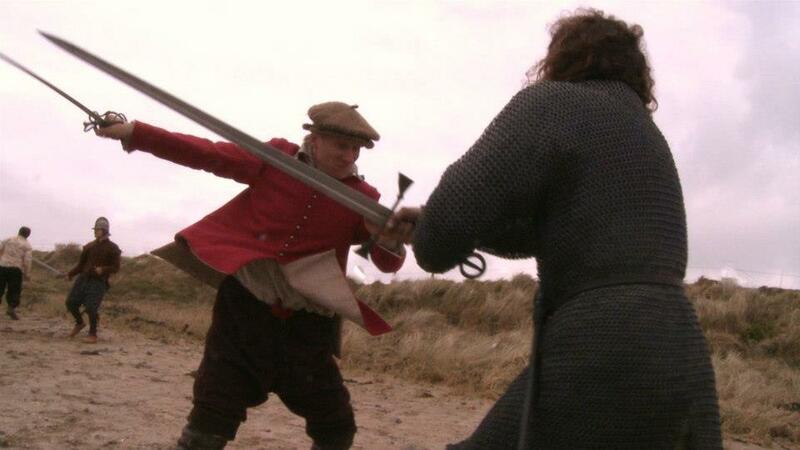 Screenshot of actors Mark Davis and Peter Cosgrove in the midst of the melee for the upcoming Granuaile feature. Here Mark is using my Mary Rose early basket hilt sword while Peter is handling a hand-and-a-half Irish ring-pommel sword. 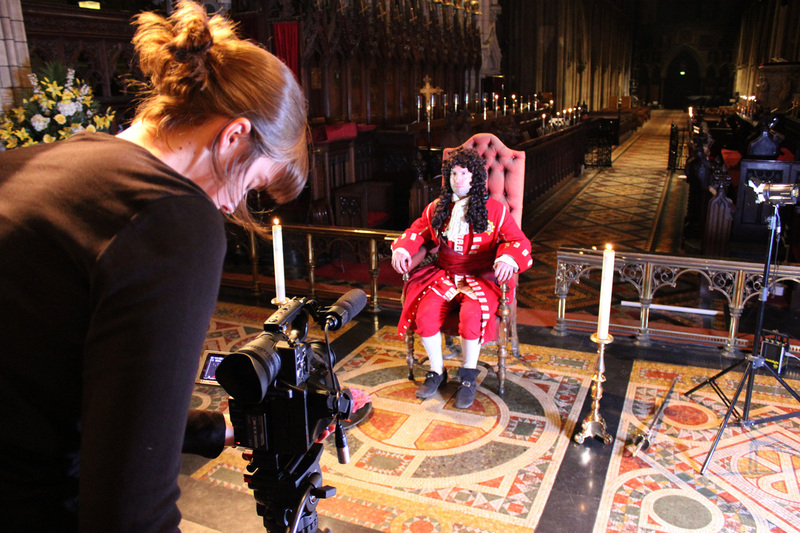 Dan Scanlon in the role of King William III seen here at St Patrick's Cathedral in Dublin after his victory at the Battle of the Boyne in 1690 - filmed on 7th August 2012. 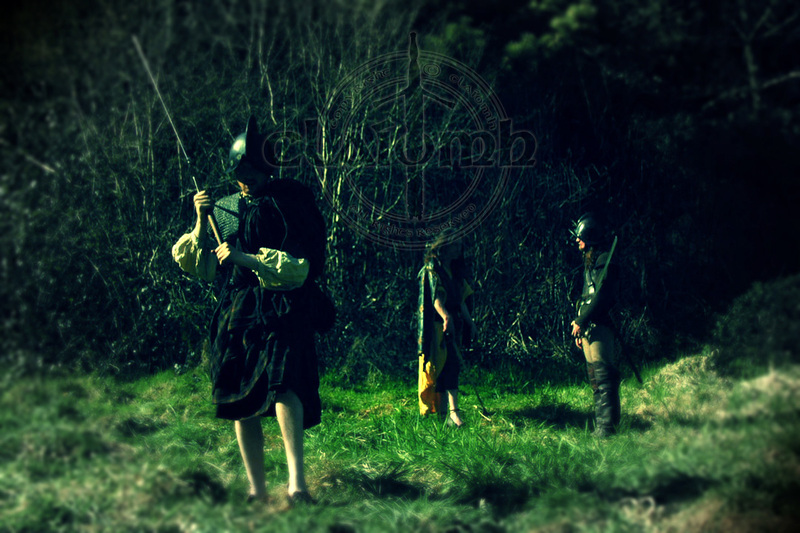 Claíomh have also been known to put on their own plays encompassing tales from Irish history and folklore endowing these stories with an earthy reality with their authentic costume and museum quality armoury.